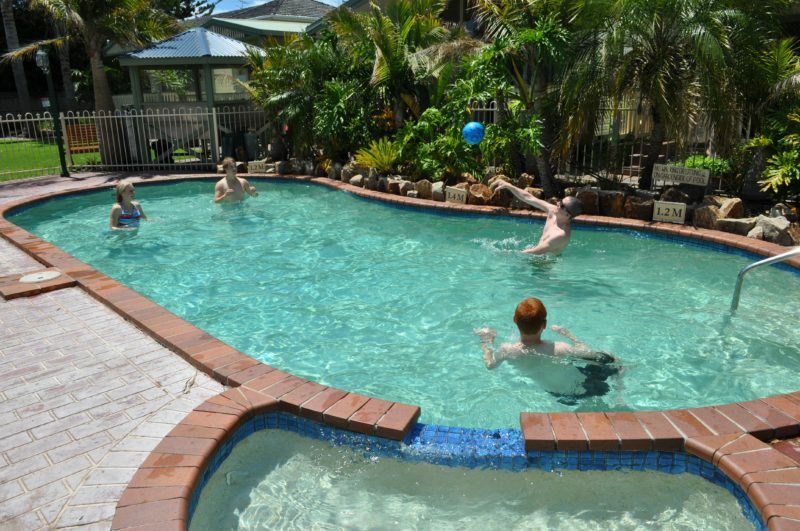 At Kangerong Holiday Park you can enjoy a dip in the heated pool or a swim in the bay, which is at your front doorstep, or perhaps just sit back and relax. The children will love freedom to run, play and jump. The facilities include heated pool, new spring-free trampolines, the games and television room or play cricket. Koala Kids Club activities are regularly held during the year, wifi is available just check with Reception. 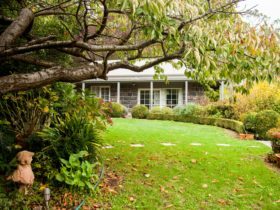 Centrally located in Dromana, only a short stroll from shops, cafes and supermarkets. 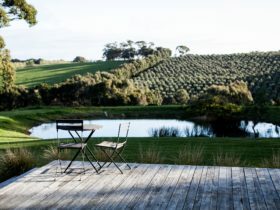 You can explore the many nearby sights and attractions available on the Mornington Peninsula. A great range of cabins, cottages and a Beach House is available catering for all budgets and needs. 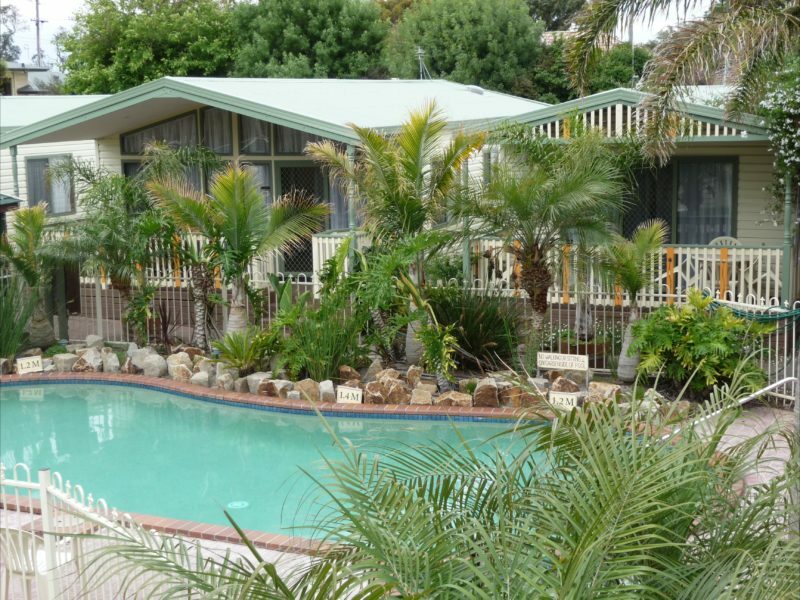 Kangerong Holiday Park also welcome caravanners, motorhomes and campers. 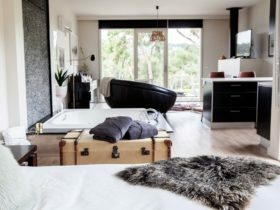 There are large grassed sites surrounding the terrific camp kitchen and barbecue area as well as an additional two ensuite bathrooms adjacent to the camp kitchen. The park now also manage Rye Family Apartments offering a range of fantastic family holiday accommodation right across from the beautiful Rye beach. Large two and three bedroom cottages fully self contained with all linen supplied, reverse airconditioning, large decks with outdoor settings. Comfortable and affordable cabins with main bed made up, three bunks, fully self contained, television and DVD player, reverse airconditioning, large deck and outdoor setting. Sites surround the camp kitchen, barbecue area, have two ensuites adjacent to camp kitchen. 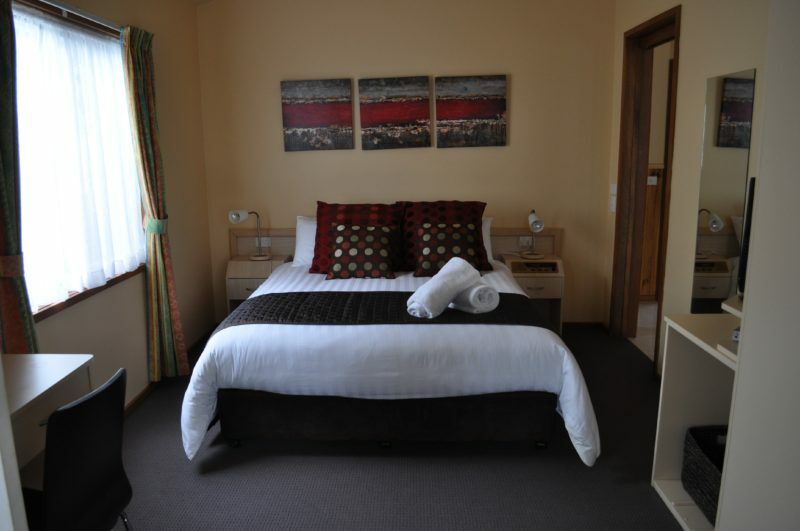 Provide comfortable one bedroom accommodation ideal for couples with queen size bed made up with all linen and towels. 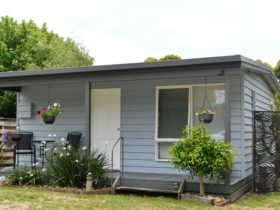 The studios are newly renovated with well equipped kitchen, reverse cycle airconditioning, updated bathroom and spacious lounge area with television, veranda and outdoor setting. Six berth, two bedrooms, fully self-contained with all bedding and towels supplied. 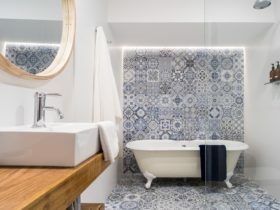 Freshly refurbished three bedroom brick house with new kitchen, bathroom, two showers,bathtub, private backyard, sleeps eight, very comfortable and perfect for a family beach getaway. Four berth, two bedrooms, spacious, fully self-contained villa with all bedding and towels supplied, very comfortable with kitchen, reverse cycle airconditioning, dishwasher, laundry and large spa bath, large deck. Fully Self-contained Apartments most with two bedrooms (two with one bedroom), well-equipped kitchen, lounge with television and DVD player, reverse cycle air conditioner, ceiling fan to main bedroom, all freshly refurbished. Across the road from beautiful Rye beach. 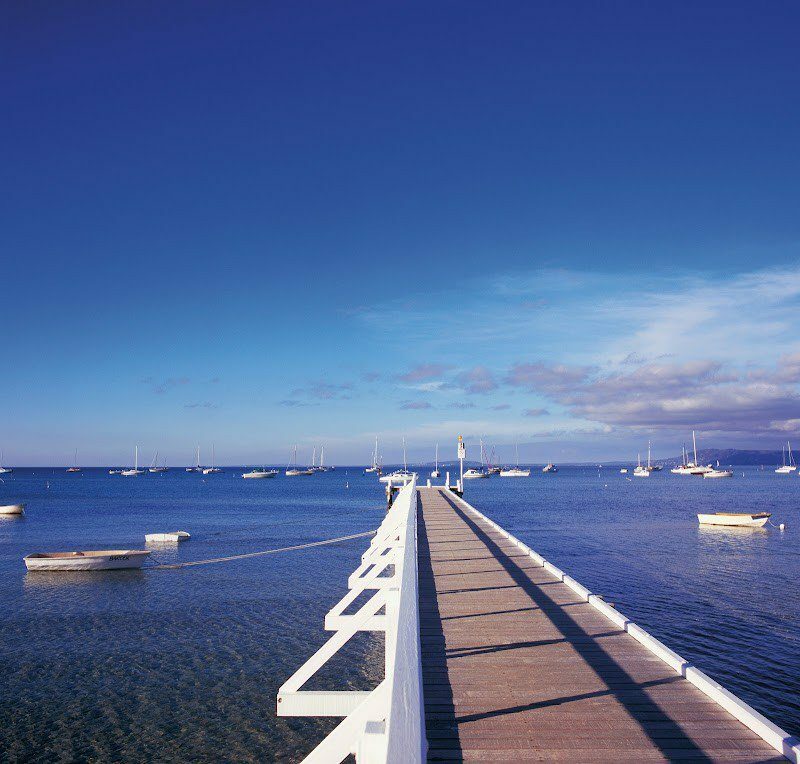 Central to all Mornington Peninsula attractions.